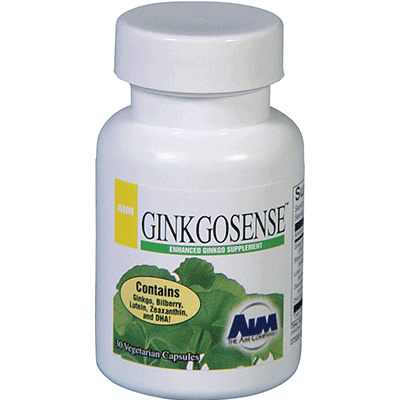 Anyone concerned with mental acuity and vision as they age may consider supplementing with AIM GinkgoSense™. This unique combination – ginkgo biloba with the essential fatty acid DHA, plus bilberry fruit extract, and the carotenoids lutein and zeaxanthin – provides overall support for your neuro health. Lutein and zeaxanthin, which are carotenoids found in green leafy vegetables, are essential for maintaining good eye health. And, like other carotenoids, they provide antioxidant support. Meanwhile ginkgo increases blood flow to the brain and supports circulation to the extremities.